Complete the application form UFZA (1) for a Developer’s licence. Please use bold print. Please pay particular attention to the following sections. 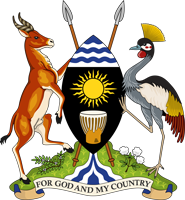 NOTE: THE UGANDA FREE ZONES AUTHORITY RESERVES THE RIGHT TO VERIFY INFORMATION, PROFILE AND REFERENCES PROVIDED WITH THE UGANDA CREDIT REFERENCE BUREAU (UCRB) IN THE COURSE OF ANALYSING THE APPLICATION LODGED. Please give full particulars of the applicant or company applying for the licence. The company to act as Developer should be incorporated in Uganda for the sole purpose of developing and operating a free zone. Full particulars of all the directors such as copy of passport, or national identification and residential address for directors of applicant. The names and contact details of the shareholders, the total number and value of shares and percentage of shareholding among the applicants. This section requires an indication of the project requirements such as the land size, capital requirements and expected project expenditure. This further requires the project financing detailing the sources of capital for the project. Please indicate the nature of financing e.g. equity and loan/or loan financing by source and amount. In each case, state whether paid up capital is local or foreign (name country source). A letter from a bank or financial institution attesting to the project sponsors ability to undertake the zone development should be attached. Note the total financing provided should equal the project cost. Please provide information on the name, size, and location of the area applied for. Provide information on the concept of the proposed Free Zone i.e. the types of activities to be performed in the free zone including physical planning such as industrial buildings, serviced plots, provision of zone security, garbage collection, telephone services, secretarial services, container handling, and firefighting facilities, landscaping, and street lighting e.t.c. Indicate the status of land ownership and attach proof of ownership. List any other Free Zones licences held by the developer and attach evidence of such ownership, past or current. Please indicate your intended method of promoting the zone. These may include; printing and distribution of promotional materials, participation in trade exhibitions, investment workshops, seminars e.t.c. This section requires a detailed description of the location of the Free Zone as understood by the developer. Power Requirements – Mention the estimated power consumption that will be required in terms of KVAs. Water Requirements – Mention the estimated water consumption in terms of cubic meters per day. Development of the zone should commence 12 months from date of licensing.The developer can act as an operator or appoint an operator to manage the zone. The developer can lease or sell the land or buildings to an approved operator or business enterprise after establishment of the zone but in any case not before the initial five years of commencement of activities in the free zone. The Developer should make quarterly and annual returns to the Uganda Free Zones Authority.